LANCASTER – The Antelope Valley Fair and Event Center on Friday announced three of the six concert performances scheduled for this year’s A.V. 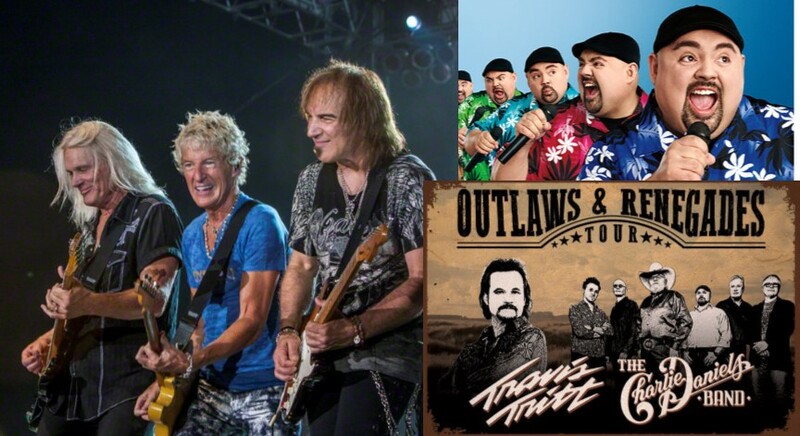 Fair and Alfalfa Festival — legendary rock band REO Speedwagon, comedian Gabriel Iglesias’ Beyond the Fluffy World Tour, and country sensations Travis Tritt and Charlie Daniels on their Outlaws and Renegades Tour. Themed “Sweet Delights and Carnival Lights,” the Fair will take place Aug. 16 to Aug. 25, at the Antelope Valley Fair and Event Center, located at 2551 West Avenue H in Lancaster. Bringing laughs to the Miller Lite arena on Monday, Aug. 19, will be stand-up comedian Gabriel Iglesias on his “Beyond the Fluffy” world tour. Back by popular demand, Iglesias is returning to the A.V. Fair with his storytelling, parodies, characters, and sound effects that bring his stories to life. Concert tickets go on sale April 1 at 10 a.m. at www.avfair.com. Fans are encouraged to purchase tickets early, as there is limited concert seating for Gold Circle, Trackside and Standing Room tickets.The second concert series announcement will be revealed in the next few weeks. Complete ticket information and Fair details are available at avfair.com. 1 comment for "Three concert performances announced for 2019 Antelope Valley Fair & Alfalfa Festival"
Fluffy was awesome last time BUT he told the same same jokes over and over again, and threw in some new stories that were…ok??? Then went back to jokes everyone knows ..